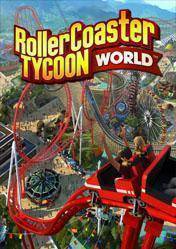 Buy RollerCoaster Tycoon World cd key for PC in digital version at best price is already possible by Gocdkeys! You can preorder RollerCoaster Tycoon World for Steam in any of the online shops registered in our price comparison site. To activate the download from Steam, you must add the digital serial of RollerCoaster Tycoon World into your user account. RollerCoaster Tycoon World is the next installment in the most famous simulators amusement parks saga. This title represents the next generation of simulation games and theme parks construction and it includes a lot of features requested by fans, and the inclusion of new and stunning 3D environments. We will have at our disposal a huge amount of powerful construction tools, the ability to place all the objects in the game anywhere on the map and at any angle, the possibility of curved paths by any stretch of the attractions, a new and innovative 3D Track Editor, allowing us to create roller coasters and the most brutal imaginable attractions. We can also build amazing rides and change the landscape of our park as a whole, fully deformable terrain and the addition of water as a new element. A new and innovative park management system, multiple game modes, new physics, innovative services that offer our customers, and the ability to share our creations through social networks. Remember that all stores appearing in gocdkeys have been tested by our team so they are 100% reliable, even so, we recommended you to carefully read the specifications in each store at the time of shipping, ways of activation (in case it is digital version) and methods of payment.